Perfectionism is an interesting concept. I’m wondering where that mindset comes from. I can’t quite pinpoint the moment where it was indoctrinated in my life, or who re-enforced it. My youngest memory of this behavior goes back to 1st grade. I was going on vacation with my grandparents during the school year. I asked my teacher for a packet of the homework I’d be missing. I didn’t want to fall behind. Perfectionism has not infiltrated every aspect of my life, though. As much as I hated missing school growing up, I may have only achieved perfect attendance once. As organized as I am, there were moments where my notebooks overflowed, or papers weren’t in the “right” order. I’ve been the only one demanding perfection of myself, even in the most obscure scenarios. For example, the event that prompted me writing this post. 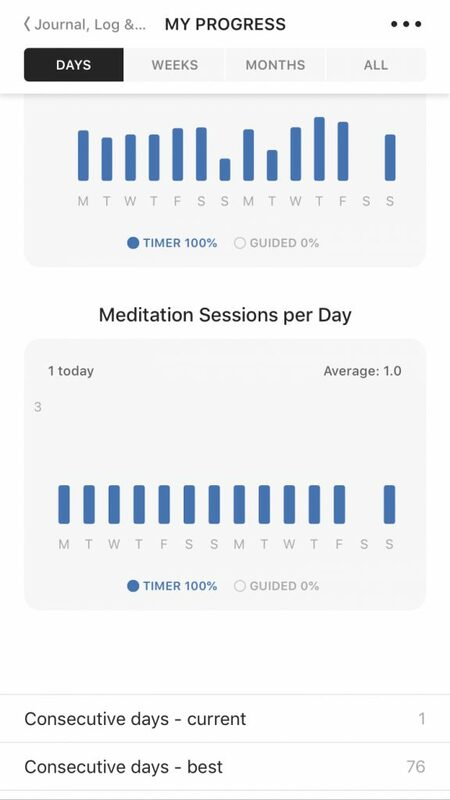 I use the Insights app on my iPhone for meditation. Since May, I’ve turned the timer on as I walk my dog, to track walking meditation. My streak was up to 76 days. A little past midnight early this morning, I realized I might not have tracked my Saturday walk. Lo and behold, at the end of this morning’s session, I saw my fear manifest. “New Streak: 1 Consecutive Day”. Starting over from scratch is not a favorite pastime of mine. I am a fan of patterns and streaks. I’m a checklist enthusiast, a planner addict, a systems devotee. As much as I’m whole-brained, like in Remember the Titans, my left side truly is my strong side. I’m more Type A than Type B. There’s a relaxed and informal side. And there’s the meticulous and finicky side. The fact of the matter is, perfection is not achievable in every part of your life. Perfect is test scores. Perfect is for SMART goals, specifically T(ime-based) ones with a specific deadline scheduled. Striving for excellence is great. But the problem with perfectionism is its attachment to worthiness. This subconscious idea that if you’re not perfect, you’re not worthy of success. It’s a belief that interferes with a healthy sense of self. I don’t believe there’s a “cure” for being a perfectionist. But like other ailments, I think there are strategies you can use to keep it from controlling your feelings of worth. I was introduced to the Wreck This Journal a few years ago. I forget who told me about it, but I was equal parts fascinated and mortified. This journal is what dreams and nightmares are made of, depending on the type of person you are. It’s described as a journal that “challenges readers to muster up their best mistake- and mess-making abilities to fill the pages of the book—or destroy them.” As someone who literally cringes at dog-eared pages and does her very best not to crack the spine of her books, this journal is, in a sense, an enemy of the state. 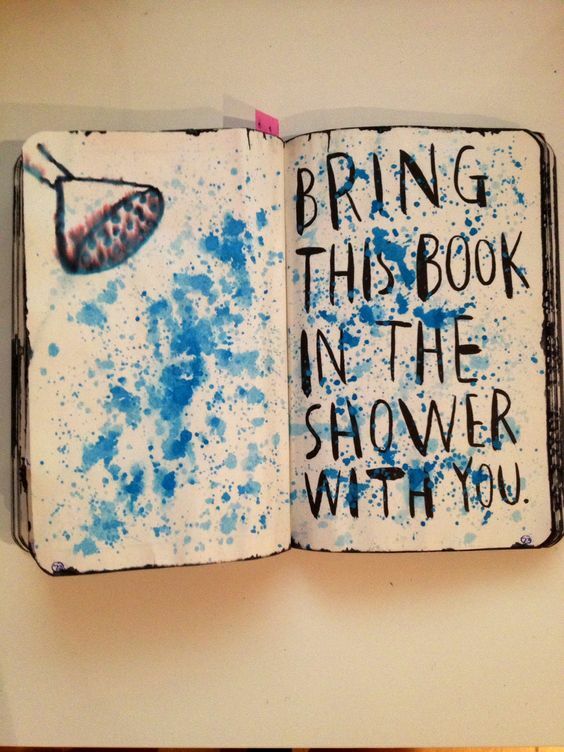 Which is why I decided to create a Wreck This Journal challenge. This challenge is for my fellow perfectionists out there who know they need to free themselves from their self-imposed prison. Deliberately destroying something, especially a book, is a special kind of hell in my mind. But from the reviews, it’s liberating. I hope that after completing this challenge, we will feel more creative, more flexible (mentally, but sure, physically too), and more worry-free (if there is such a thing). One thing I expect the Wreck This Journal challenge to ignite in perfectionists is our competitiveness. But this would be channeling it in a much healthier way. So what say you, fellow anxious individual? Care to join me on this road trip to lax living? Buy or create your own Wreck This Journal, and let’s slay this perfectionism one page at a time.